This will be held at the Northern Club on the 14th May. Full details will be sent to anyone interested in attending. Increased competition contributed to a 25.9% decline in multi-outlet US sales of coconut oil, with a 16.1% drop in the natural channel, according to recent sales data in the USA. Negative press surrounding a 2017 American Heart Association advisory that warned against coconut oil consumption may also have affected sales. Coconut oil is a traditionally used edible oil with many positive characteristics based on stability and flavour, but one cannot avoid the fact that it is 93% saturated. 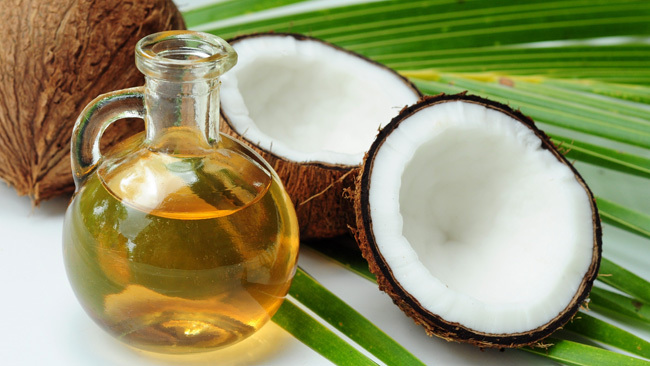 Coconut oil is not some miracle health elixir. On balance, it should be viewed as not much different from other sources of dietary saturated fat. It has its place in cooking like any oil or fat, but it is better to consider using a variety of oils in cooking for the job at hand and the taste outcome a person wants. On the health balance scales, virgin olive oil is still the standout choice. So, is saturated fat back? Coconut oil being 93 % saturated has the problem in that it is an oil in the Pacific and in hot Summers, but otherwise it sets up at 25 degrees. Olivado have solved this retail dilemma by bottling a special fraction of medium chain triglycerides supposedly manufactured in the Philippines. The traditional MCT oil is virtually all C8 and C10 triglycerides with no C12, and these have a very low smoke point although they stay liquid even at room temperature. The new oil is a distilled, re-esterified mixture from coconut oil that contains 21 % lauric.so its smoke point is higher. It still stays liquid at room and fridge temperature. It sells for around $40.00 per litre. It seems this reviewer cannot avoid getting involved in the coconut oil business. Just recently a very interesting visit was made to Copra Mills Fiji in Suva. They are the largest coconut oil producer in Fiji. Their traditional product is expeller produced high quality crude oil with an FFA of < 1.0 %. Their new product is virgin coconut oil of exceptional high quality being water white, low peroxide value and FFA maximum of 0.1%. The company is looking to a company in NZ to market value added products from this high value oil. Pacific Vegetable Oil in Apia, Samoa have recently installed a batch refining plant to process their crude coconut oil into RBD products. This reviewer again resurrected his work on refining from 40 years ago and spent a few days in monsoon rain and heat to help commission the plant. There is still a place for the old traditional plant and techniques for the developing countries with small budgets but it’s a different approach for those of used to high throughput continuous refineries. A similar situation for adding value exists in Vanuatu. We helped commission a plant there 4 years ago and now the company is looking to further add value and go Organic. The coconut oil comes from company-supported growers group of 450 strong coconut farmers. They are 100% certified and compliant to the strict regulations of Australian Certified Organics (ACO). These growers, which we expect to grow to 800, are from the Vanuatu islands of Epi and Ambrym. Remote and volcanic islands, these places are free from any forms of fertilizers, pesticides, and chemicals. A recent initiative has been to set up an Olive Oil wellness institute. The institute has an impressive advisory panel composed of experts from many disciplines one of whom is Dr. Simon Poole a Cambridge based doctor. His new book The Olive Oil Diet takes a fresh and exciting look at diet, foods, cooking and health, on a gastronomic journey which tells the story of ingredients from around the Mediterranean – from different olive oils, mountain herbs and near eastern spices to regional vegetables and fruits, cheeses and wine. Unlocking the secrets of this most healthy of diets. The book has just been awarded the accolade of national 2017 winner in the international Gourmand Prize for food and cookery writing and shortlisted for the “Best of the World” which is described as the food writing equivalent of the “Oscars”. 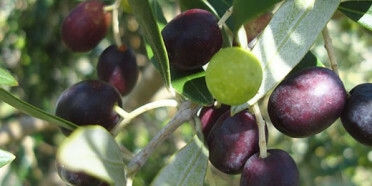 The Oils and Fats group has recently co-sponsored a student project at Massey University to examine the stability of extra virgin olive oil which meets Olives NZ specifications. Under the supervision of Associate Professor Marie Wong, the student will set up the project to dispel the urban myths that one cannot cook with virgin olive oils. A report on the project should be out at the end of this year. People who eat fish regularly seem to have a lower risk of developing multiple sclerosis, researchers report. How much fish makes a difference? In this study, people who ate fish at least once a week — or who ate fish one to three times a month and took daily fish oil supplements — had a 45 percent lower risk of developing multiple sclerosis (MS) compared to folks who ate fish less than once a month and who didn’t take fish oil supplements. “Our study showed one more potential benefit of a seafood diet,” said study author Dr. Annette Langer-Gould, who noted that eating fish regularly has already been linked to a lower risk for cardiovascular disease. She’s the regional lead for clinical and translation neuroscience for Kaiser Permanente Southern California. The current study included more than 1,100 people from Southern California. Their average age was 36. Half had been diagnosed with early MS or with clinically isolated syndrome. How might consuming more omega-3 fatty acids from fish help prevent multiple sclerosis? “Omega-3s are known to be neuroprotective and anti-inflammatory, which may potentially protect against the development of multiple sclerosis,” Langer-Gould suggested. But, she added, this study couldn’t show a cause-and-effect relationship. Researchers have been trying to find ways to change environmental factors — such as diet — to lower the risk of multiple sclerosis, and this might be one thing contributing the development of the disease that could be modified. The study is to be presented at the American Academy of Neurology’s annual meeting, April 21-27, in Los Angeles. Research presented at meetings should be viewed as preliminary until published in a peer-reviewed journal.